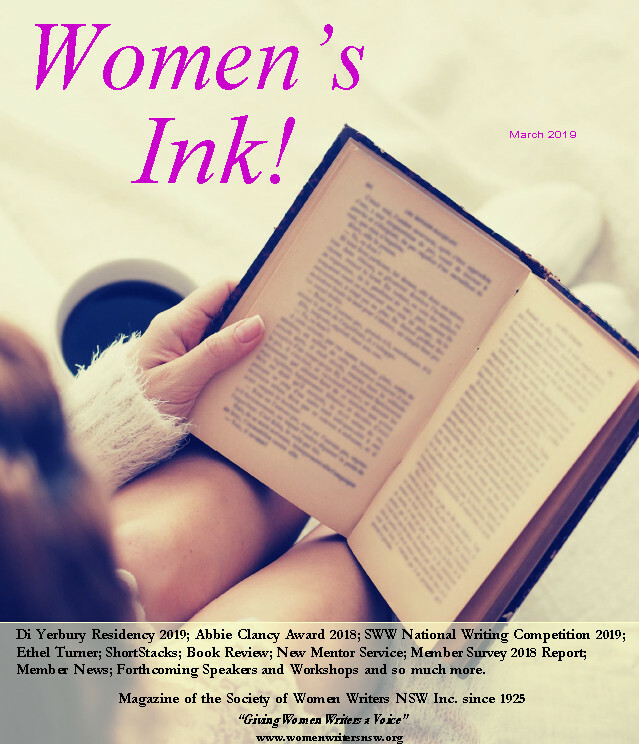 Women's Ink Magazine | The Society of Women Writers NSW Inc.
Women’s INK! is the quarterly official magazine publication of the Society, and is sent to all members, associates, major libraries and some institutions. The publication chronicles all the activities that took place in the past four months of each issue with emphasis on literary articles, relevant news and events such as the President’s report, member achievements, workshop report, guest speaker profile, author talk reports or speech transcripts, member news, book launches, editor’s column, events, competitions, opportunities, and book advertisements (for members only). To receive Women’s Ink!, please sign up for membership by completing the downloadable Membership Application form found on the Membership page and send to the Membership Secretary as indicated on the form.